Kirsten's big girl room is coming along, slowly. I've gotten all the items figured out, but I'd like to make a few additions/changes to the room. First, half our house is very light trim and the other half is dark walnut. All the bedrooms fall in the dark walnut half, and so I'd like her closet door, trim and doors replaced with light oak. 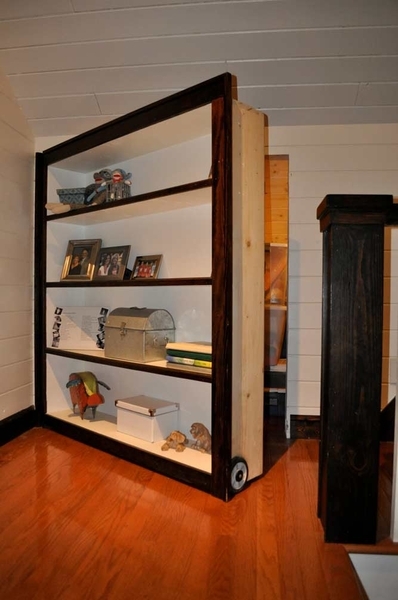 At the same time I'd like to add some light board and batten and shaker pegs to the bottom half of the wall. However, the final touch is what this post is really about. 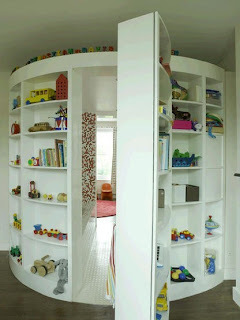 Her big girl room has two doors leading into it, one leads into the hallway and the other out to the family room. 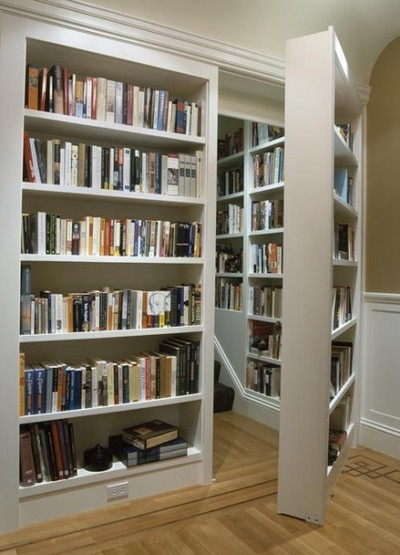 We have to have two doors for safety reasons, but functionally the two doors really limit the use of space. 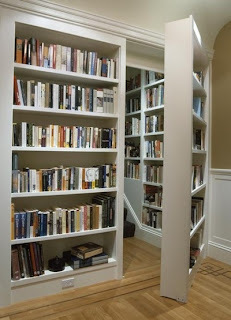 So, we are turning the door to the family room into a hidden door with bookshelves on both sides. 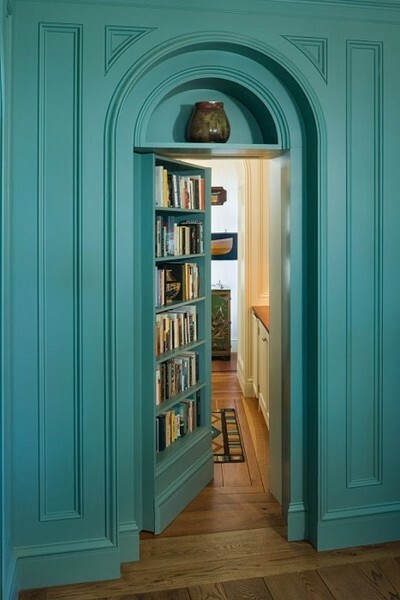 The wall in the family room that the door is currently on is already lined with bookshelves. 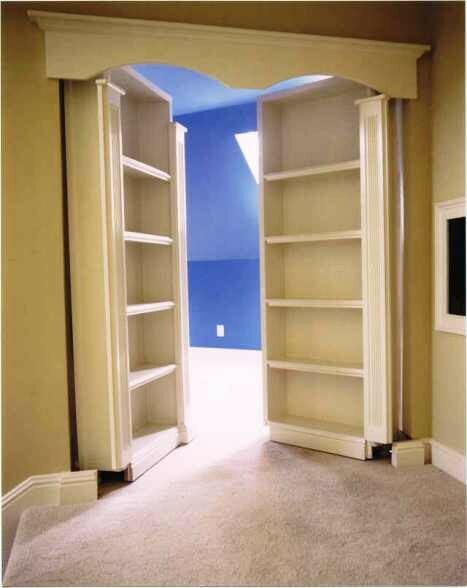 Instead of stand alone we'll be building in shelves and have the last be a hidden door into her bedroom. The trick will be anchoring items on the shelf, and picking light non-breakable items that will still carry the visual weight needed to balance itself with the rest of the shelves in the family room. I want to keep the door light enough that Kirsten will be able to open it on her own if she ever needs to in case of fire or an emergency. 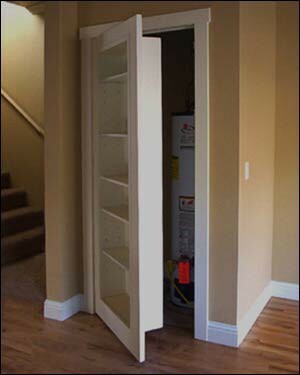 I've been pinning hidden doors for construction ideas, the first is the closest to the scenario we'd have. 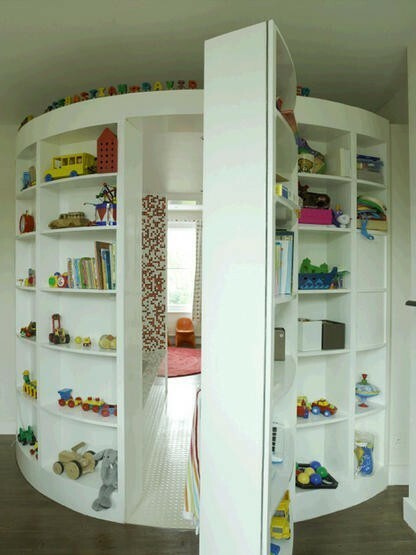 What child wouldn't love having a hidden door into her room? We'll also be creating a similar door into my husband's office in the basement when we finish the basement. 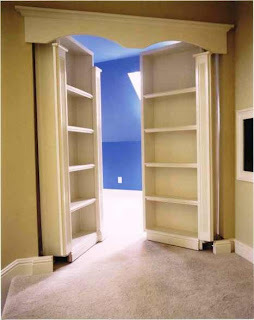 Again we'll have a wall to wall area of shelves, one will open up to his office and another will open up to a storage room we have downstairs. 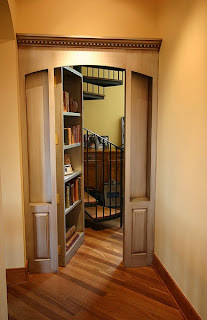 Due to the layout of the basement, no one would guess either room exists if they didn't know they were there.